You’re in your custom car shop with your vehicle standing by. What will you do to trick out your dream wheels? Give yourself flash rims? Gleaming fenders? Bruising bumpers? You’ve got the tools and you’re in charge. Trick out those wheels till they’re sizzling hot! Custom design excitement with heaps of workshop tools for the ultimate in full-throttle fun. 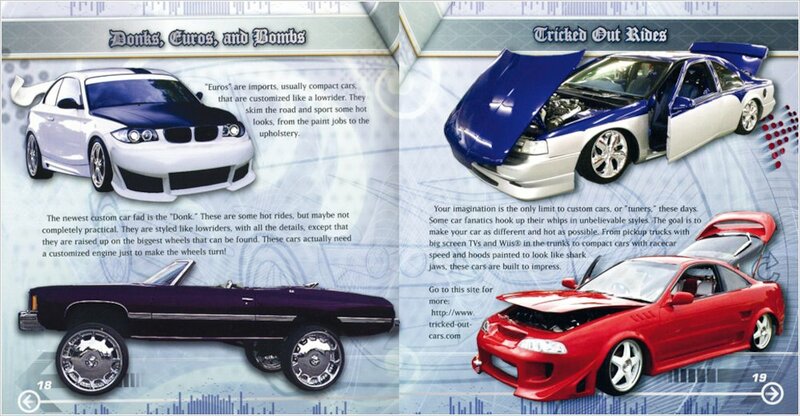 Kit contains a car body, 2 spoilers, 2 bumpers, 2 tailpipes, 6 paints, brush and a 32-page manual all about the art of how to customise your car. 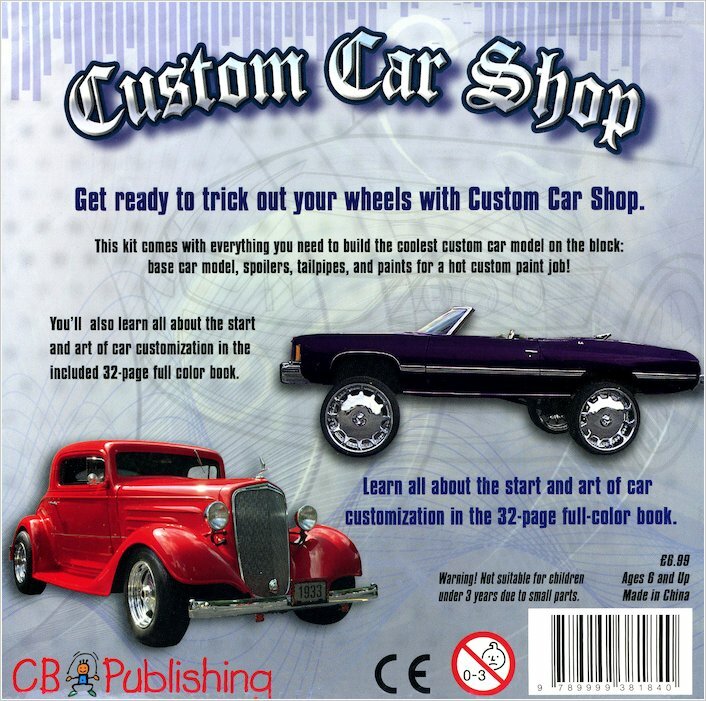 You know what?I have read this book and I have it but I find it hard to paint the car and I find It easy to build it however the front cover shows a blue car with 2 white stripes in the middle and 1 white on each side,so it made me buy it , also you will find a seriously cool book about cars in the box. 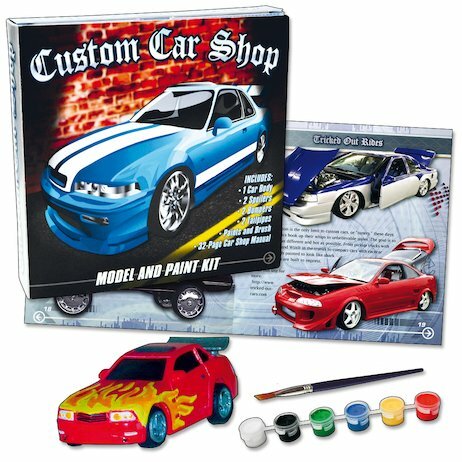 Have a nice time painting your car and staring at the gorgeous cars!